Carlo Levi (1902-1975), writer, painter and politician, was one of the great Italian talents of the twentieth century. He was interned in the South of Italy as an anti-fascist during the Second World War, where he wrote his masterpiece, Cristo si è fermato a Eboli (Christ stopped at Eboli). The work was subsequently turned into a film and became recognized as one of the great works of twentieth century literature. Subsequent works have included a wide range of fiction and non-fiction, including L’Orologio,(1950) Le parole sono pietre (1955), Le mille patrie, Lo specchio and Scritti di critica d’arte. From 1963 to 1972 he was a Senator of the Republic. 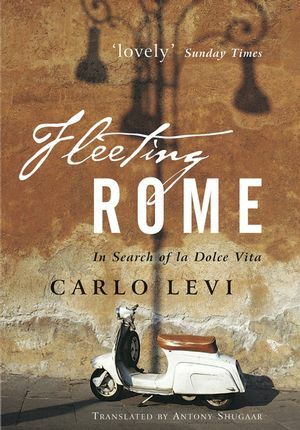 "...this lovely book captures the spirit of Rome in a glancing fashion." (Sunday Times (Culture) 15 August 2004.